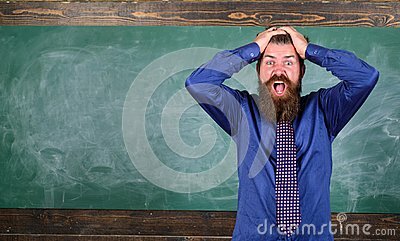 Man bearded teacher or educator hold head chalkboard background. Pay attention to your behaviour and manners. Teacher etiquette tips modern education professional. Teacher behaves unprofessionally.